We have made significant changes to our space and turned it into an art salon plus artist studio - for more intimate and personal exhibitions and events. You can find our current program below. If you want to keep updated about what’s happening, please check back here, subscribe to our newsletter and/or follow us on the social web. Here at heliumcowboy we have been constantly changing the way we approach art and its presentation. It is part of our long history. Since Januayr 2018 we are taking the liberty again to abandon the traditional gallery model and turn our space into a living and breathing “art salon”. With only few exhibitions per year, but always an open door (just pop by or make an appointment) and by adding more intimate, personal events and some more talking (heliumTALK podcast) to the program. And of course you should always visit our online-portfolio on Artsy! Our ernissage is part of the 2nd „Rundgang“ of the Galleries of the Neustadt. On this evening there will be openings in almost all of the exhibition spaces in our beautiful quarter of Hamburg. 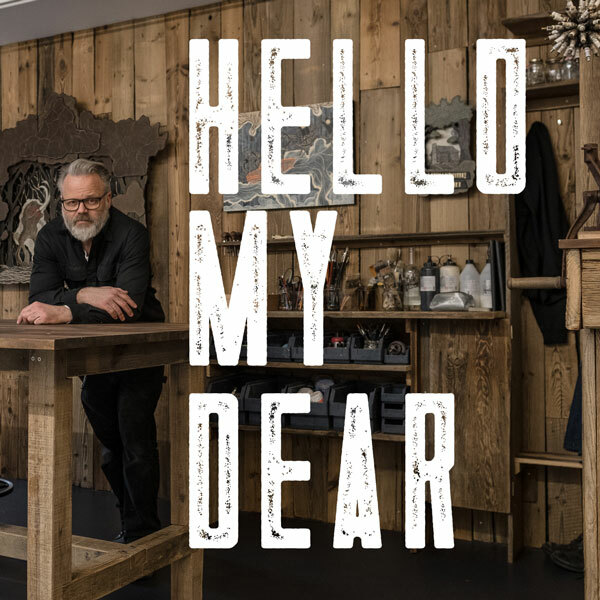 On Friday, April 5 2019 we’ll open our new exhibition “We’re still here” with a very special event: heliumTALK host Jörg Heikhaus invites our guests to “speed-podcast” with him during the Vernissage. Guests who want to record a 10 minute session with Jörg live should come to the gallery counter from 6 pm and sign up for a time-slot. At 8 pm Jörg will start recording short individual interviews with whoever signed in – first come, first serve. … so it was about time we gave up the whole space to our founder and first Cowboy this winter! After his debut with heliumcowboy last year we are bringing him back to the Ranch: Jens Rausch will be showing with us again this fall and he is taking a brand new series of work along with him. New materials, new theme, but still focusing on his distinct approach to structural and vivid portraits of nature. heliumcowboy goes NORTH - we are taking place at this year’s edition of the exclusive art fair in Aalborg, Denmark. We’ll show new work by Jaybo Monk, Victor Castillo, Mercedes Helnwein, David Shillinglaw, Ben Venom, Jens Rausch, Jay Ole, Barbara Lüdde, Alex Diamond and more. 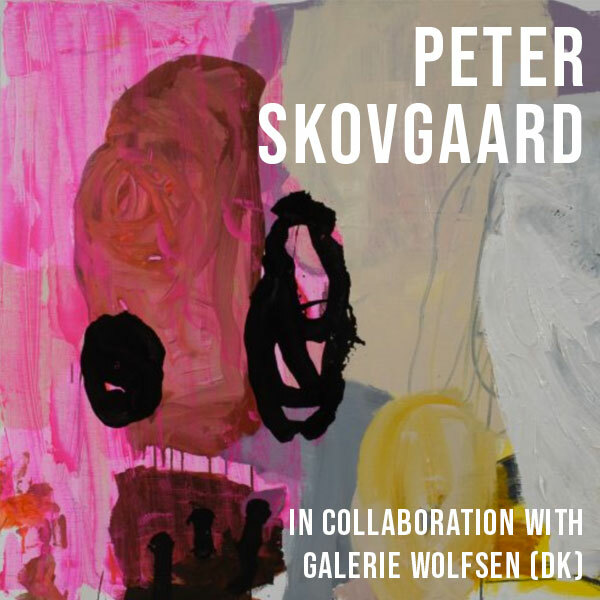 An exhibition with danish artist Peter Skovgard. In collaboration with our dear friends from Galerie Wolfsen (Aalborg, DK). The opening is also part of the "Saisoneröffnung Neustadt" - all the galleries in our quarter will open this night at the same time. We love to work with other creatives, we love to broaden our horizon, and for those reasons we have been inviting guest curators to the Ranch frequently in the past. For "CRISP" we are teaming up with our good friend Rune Christensen and jointly selected a great line-up of international artists. The Jaunt sends artists on trips to explore the world, find new inspiration and create a unique piece of art, which will be released as a limited edition print afterwards. This April Curator Jeroen Smeets puts together an exhibition featuring artists from his exciting project. We are happy to invite you to the presentation of our new concept and the opening of the remodeled artspace/art salon including our rustic Alex Diamond-bar and -workshop. Come around if you want to hear and see what's new and what plans we got in store. Even though we have expanded heliumTALK to the world of audio podcasts, Jannes Vahl & Jörg Heikhaus of course continue to also do the public TV show with TIDE TV. Our first guest in 2018 is Bettina Steinbrügge, Director of the Kunstverein in Hamburg. From the opening of COWBOYLAND, the exhibition celebrating 15 years of the heliumcowboy artspace gallery in Hamburg. A day full of art, love, respect and friendship. And music.